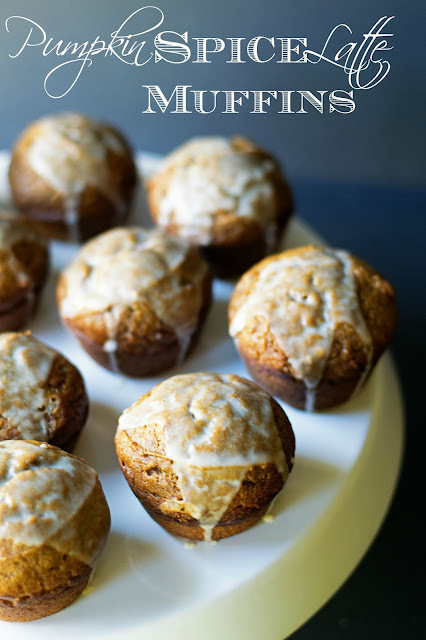 Harness the flavors of fall when you make these unprecedented Pumpkin Spiced Latte Muffins! 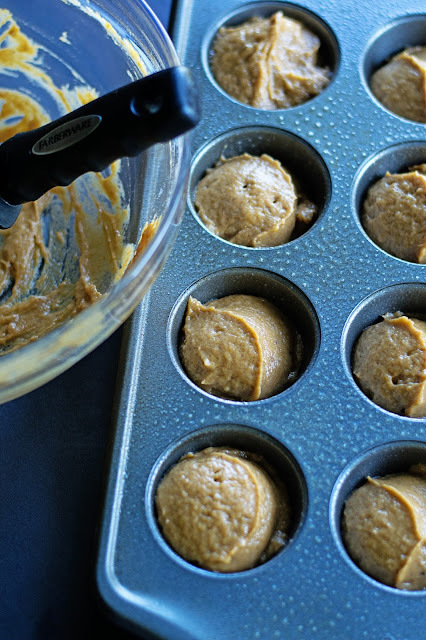 This simple, step-by-step recipe makes it easy to start your day with the taste of pumpkin spice in a muffin tastier and way more affordable than you’ll find in your local coffee shop. Fall is in the air and I think it is safe to say we’re all ready for it. Everywhere you look, it’s Pumpkin Spice everything, and to be honest I love every minute of it! 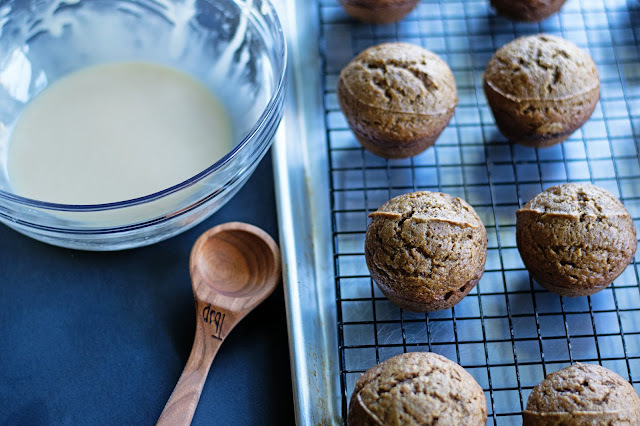 If you love coffee, moist muffins, and the taste of Pumpkin Spice, you’re in for a real treat. Just when you thought the pumpkin season couldn’t get any better, all of you fall favorite worlds collide with these delicious Pumpkin Spiced Muffins that you can make at home. Don’t break the bank at your local coffee shop. 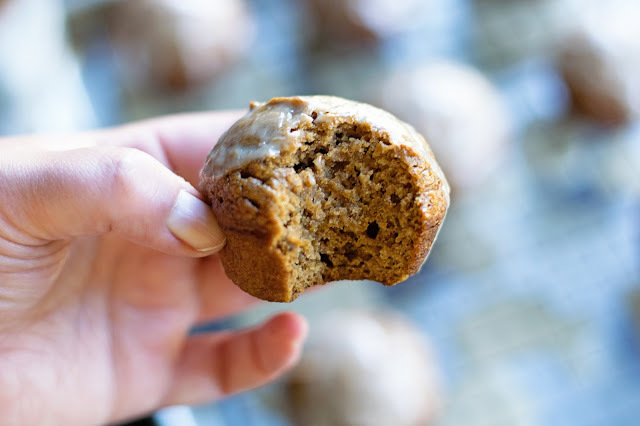 Stay home, grab your coffee, and whip up a big batch of these Pumpkin Spiced Latte Muffins instead. Save money as you enjoy your favorite flavors of fall from the comfort of your own home! Let’s get to baking, shall we? As always with baking, you will combine the dry ingredients in one bowl, and the wet in another. Then slowly and gently mix them together. Make sure you spray your muffin pan with non-stick spray. Also, I like to use an ice cream scoop for the batter. It helps to ensure your muffins are all the same size. Once your muffins have baked and cooled, you can glaze them. I like to sit the cooling rack on the baking sheet. This keeps clean-up nice and easy. Then simply spoon the latte glaze over each muffin. Oh my goodness, how beautiful does that look? Give the muffins a minute or two for the glaze to set and you are ready to eat. Mmmmmm….So moist and delectably warm and spicy. The perfect fall treat! These Pumpkin Spiced Latte Muffins are going to be the perfect addition to your pumpkin season. Whether it be with the morning coffee or as a late night treat, I know you’re going to love them! 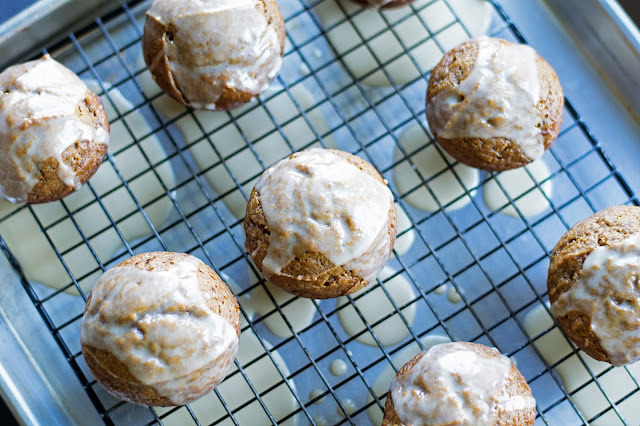 A combination of all your pumpkin favorites collide with these Pumpkin Spiced Latte Muffins. So easy and so delicious. 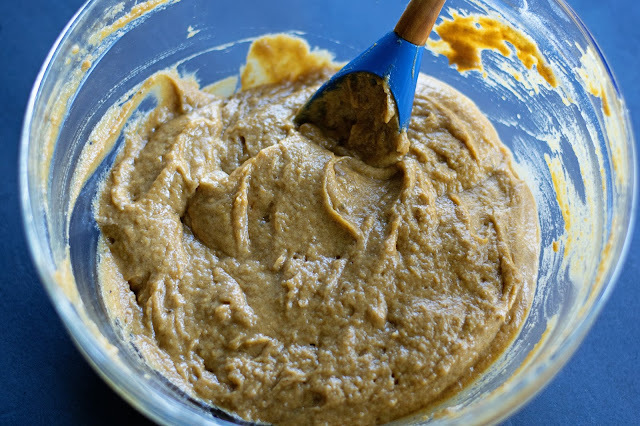 In a large mixing bowl, whisk together the flour, sugar, brown sugar, baking soda, salt, cinnamon, ground cloves, and ground nutmeg. In a smaller bowl, whisk together the pumpkin puree, eggs, vanilla extract, and vegetable oil. 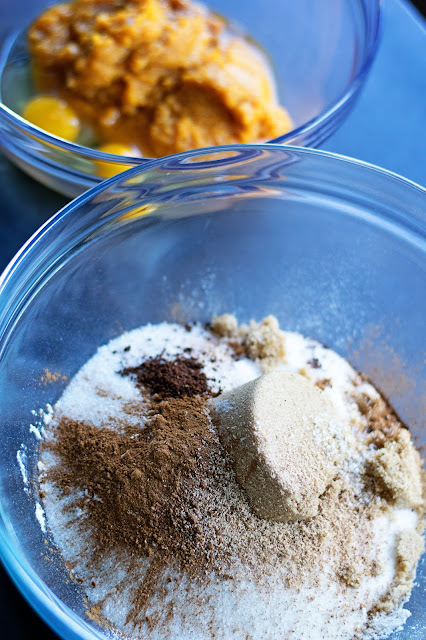 Gently combine the pumpkin mixture into the flour mixture, fold with a rubber spatula until it is all smooth. Spray a muffin pan with non-stick cooking spray and scoop the batter into each slot with an ice cream scooper. Place in a 375ºF oven for 22-24 minutes, until a toothpick comes out clean. Let cool in the pan for 10 minutes, then remove from pan and place on a cooling rack. You will want to place the cooling rack on a baking sheet. To make the latte glaze, add the confectioners sugar in a mixing bowl with the coffee. Whisk until smooth. Spoon the glaze over each muffin allowing the excess to drip off into the baking sheet. Let set for 5-10 minutes. 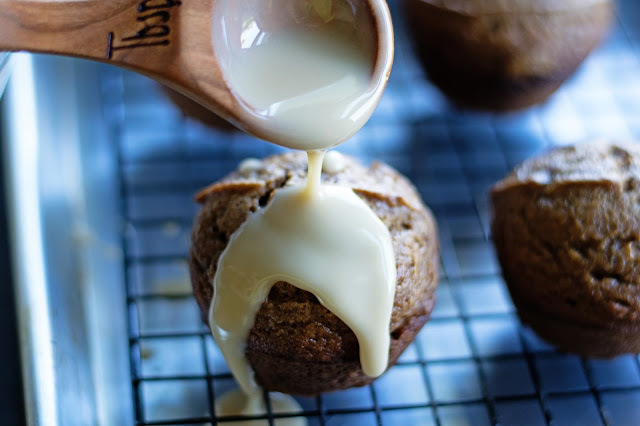 We hope you love these Pumpkin Spiced Latte Muffins from SoFabFood Contributor, Mandee Pogue from The Kitchen Wife, as much as we do. If you enjoyed this indulgent fall recipe, be sure to subscribe to our newsletter so you never miss another one like it. For daily recipe inspiration, like us on Facebook, follow us on Pinterest, and stop by our Google+ Community to see all of the amazing recipes our community members are sharing. Enjoy! These look delicious!! I will definitely have to try them out!! This looks really really good!! Good job Mandee!! Mouthwatering! Can't wait to make them. Thanks! These look so perfect to enjoy during these early fall months. I plan on starting some pumpkin baking this week will add them to my menu. I also love the glaze recipe. I made these on this crisp Fall day ...... baked them in a mini muffin tin for 15 minutes . They are scrumptious , perfect amount of spices and drizzled with the latte glaze adds a touch of sweetness ! They are perfect with a cup of coffee !